in the mean time look at this! The first one I ever spotted was on display in my local kawasaki dealers when I bought my first kawasaki triple, a green S3 400. Never really fancied one, I thought the standard bike looked much better. I am having a hard time trying figure out what graphics to use to fill in the big real estate on the rear panels , any ideas? Are you putting the KR250 decals back on the bike? May cover the real estate ? 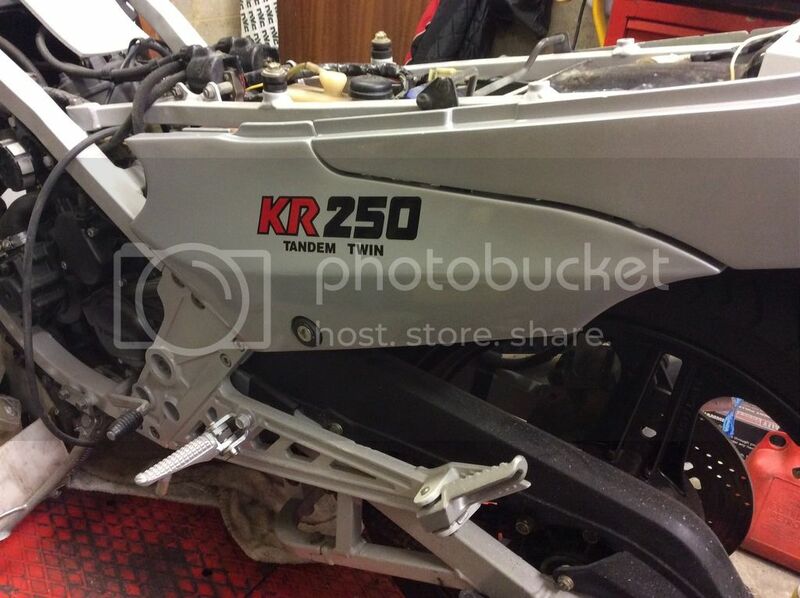 Top-shaggy wrote: Are you putting the KR250 decals back on the bike? May cover the real estate ? What about "KR250" or "KR250A" in white on the green stripe?